Residents who were still awake, just past midnight on January 16 along S.E. 13th Avenue between Center and Rhone Streets in the Brooklyn neighborhood, found to their surprise there was water in their basements, and a river of water bubbling up from the street. "We're in what we call 'Main Break Season' – as water coming in from Bull Run is very cold, and runs through older pipes, making them even more brittle," remarked Portland Water Bureau (PWB) Public Information Officer Jaymee Cuti. Looking into the excavated area on 13th Avenue, it appeared almost as if the pipe had exploded! "This 8-inch cast-iron main, installed in 1926, ruptured under the street, affecting 15 residences," Cutie told THE BEE. After working all night, the Water Bureau restored service at 8 a.m.
"Our workers went door-to-door, distributing 'Boil Water Notices', letting residents know it's okay to bathe with the water, but not to drink or cook with it for 24 hours," she confirmed. This was one of about 200 water-main breaks every year that PWB workers repair, at any time of the day or night. 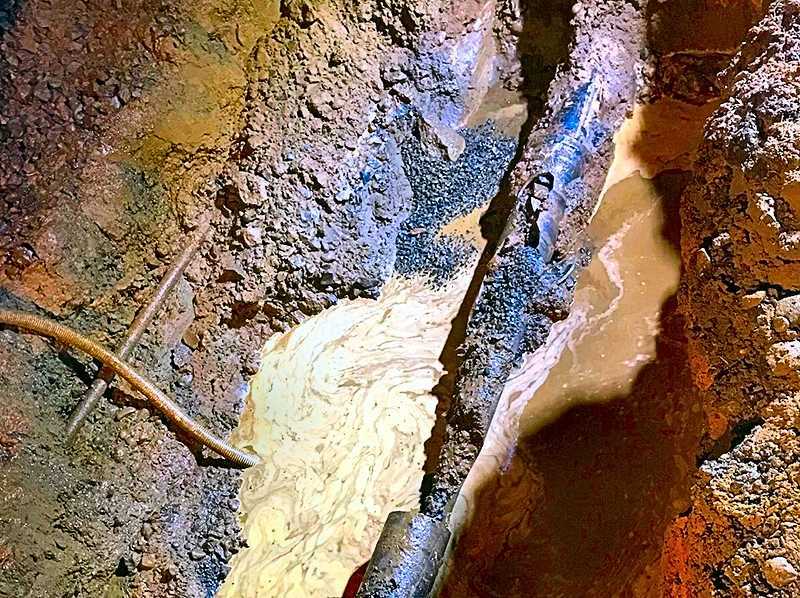 "It's a relatively low number of incidents, considering the size of our service area," Cuti said – not to mention the considerable age of the underground iron pipes.